SongWriter HD is a simple, yet powerful solution for songwriting on the go. 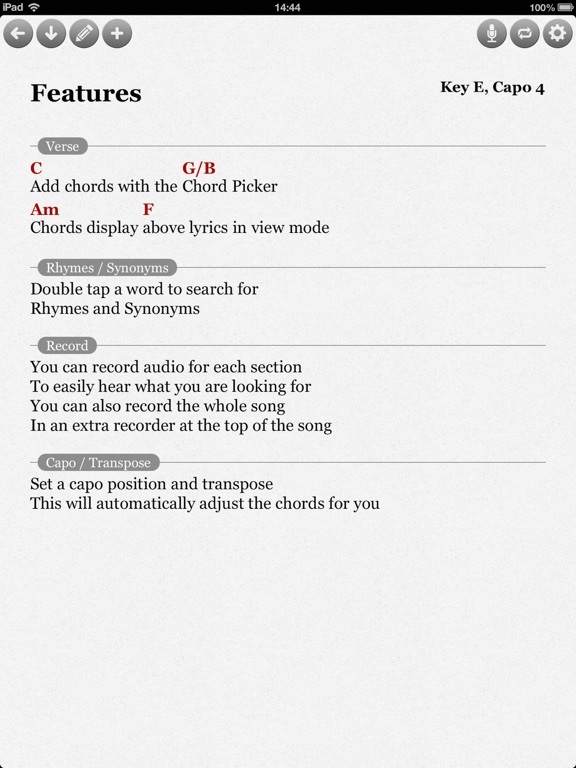 Recording your ideas and writing your lyrics and chords has never been so convenient. ● Write your lyrics for each section of your song (ie. verse, chorus). 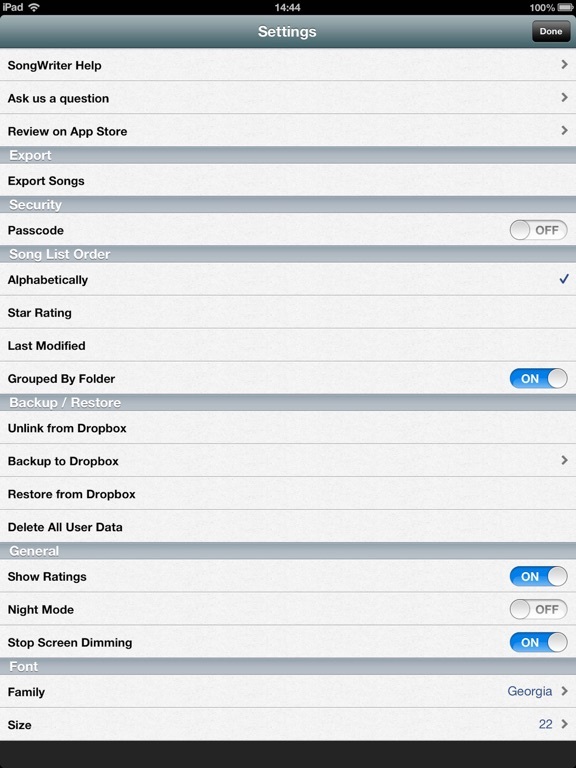 ● Record audio for each section separately. 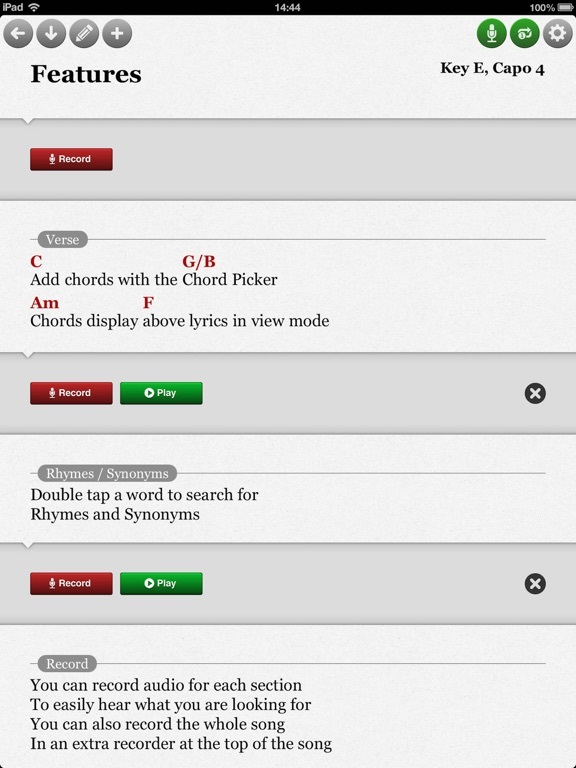 ● Use the 'Chord Picker' to easily insert chords. ● Chords display above the lyrics when in display mode. 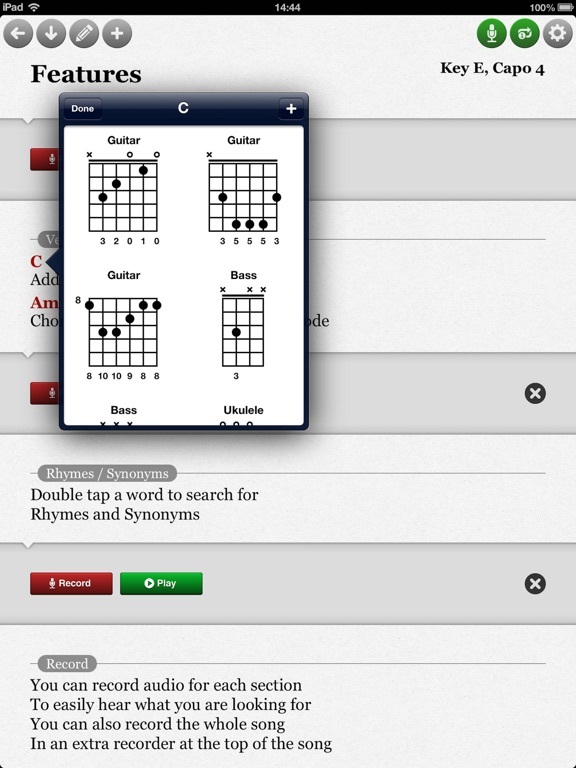 ● View Chord Diagrams - over 1000 chords included for guitar, bass, ukulele and banjo, plus you can add your own. ● Nashville Numbering System support. ● Email your songs, with options to send PDF's, Songwriter Files, or MySongbook Files. ● Optional 'Passcode Lock' to protect your ideas from prying eyes. ● Backup/Restore powered by Dropbox. If you have any suggestions of how Songwriter can be made even better, we would love to hear your ideas. Please visit www.simonsapps.com to get in touch.